Telephone: (802) 472-5733 ask for Wendy. 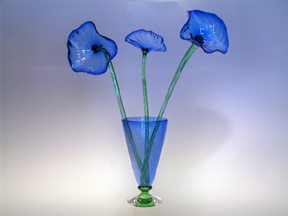 Visit your favorite gallery of Fine American Craft and ask for us by name. Or, you can purchase our work from us over the phone, via email from this web site, by appointment from our studio or by visiting us at a craft fair (See Scheduled Events). Prices Subject to Change. Email the first half of your credit card number, then the second half along with the expiration date in a second email. It's not an ironclad guarantee for security, but I'm told nefarious types would have to grab BOTH e-mails out of thin air and put the numbers together to commit fraud.... or, of course, you can always phone in your card number. *Shipping Charges will be added to your order. All orders are shipped UPS Ground unless special arrangements are made. You are welcome to call or email us with your queries!